TCA recently designed two illustrations for our client Inada USA. 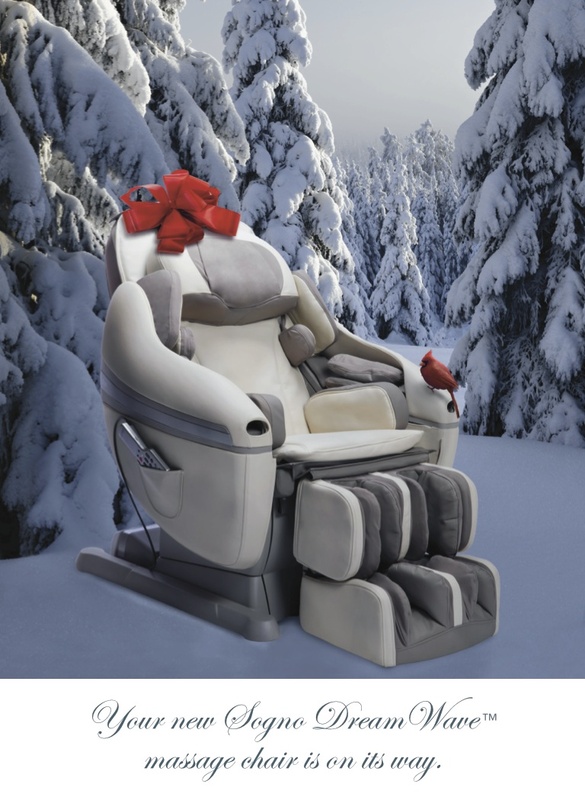 The first, featuring the Inada Sogno DreamWave™ massage chair in a forest setting, was designed to let a loved one know they would be receiving a Sogno as a holiday gift. It was designed as a card, with an accompanying envelope, and printed on high quality paper to make it suitable for giving. In our second project for Inada, the Sogno was featured as a “quiet place” amidst a bustling street scene. 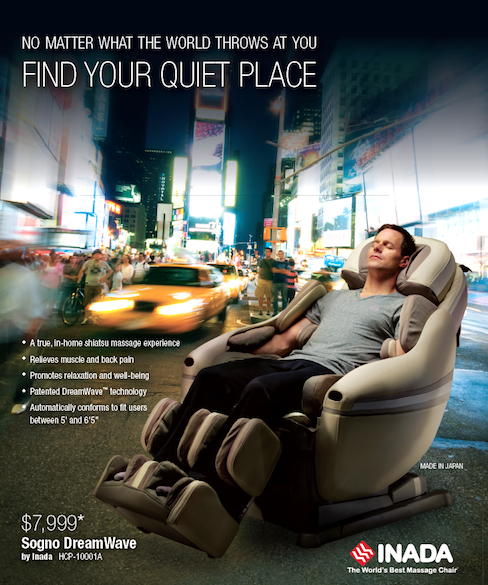 This advertisement will run in the first quarter of 2014 in Skymall magazine.